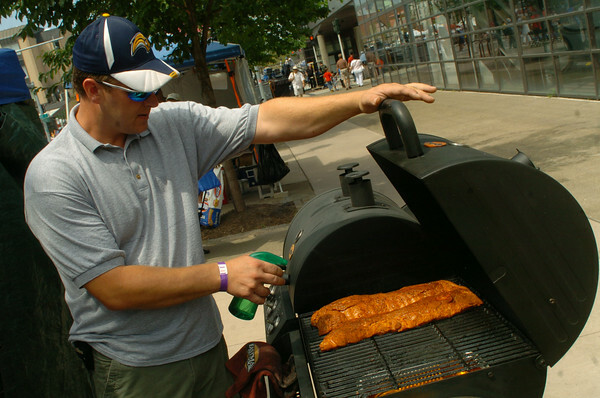 DAN CAPPELLAZZO/STAFF PHOTOGRAPHERNiagara Falls - Philip Pilc, of Fillup-BBQ, of North Tonawanda, keeps an eye on his smoked rack of ribs during the Old Falls Street and Smokin’ Eagles BBQ as he prepares them for the world class Rib Fest. competition. The competition attracted the best teams in the area as well as some of the south’s best chefs. Live music, food and activities for the family where the order of the day.